Students from Marjory Stoneman Douglas High School have launched the #MarchForOurLives and #NeverAgain movement to bring their voices to lawmakers across the United States. 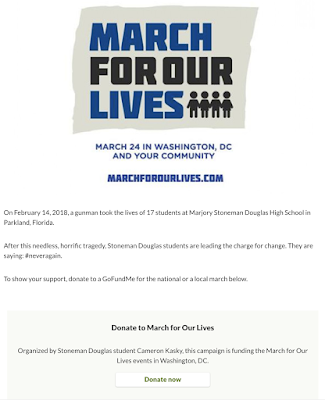 Stoneman Douglas student Cameron Kasky launched a GoFundMe to fund a march on Washington DC, on March 24, 2018. 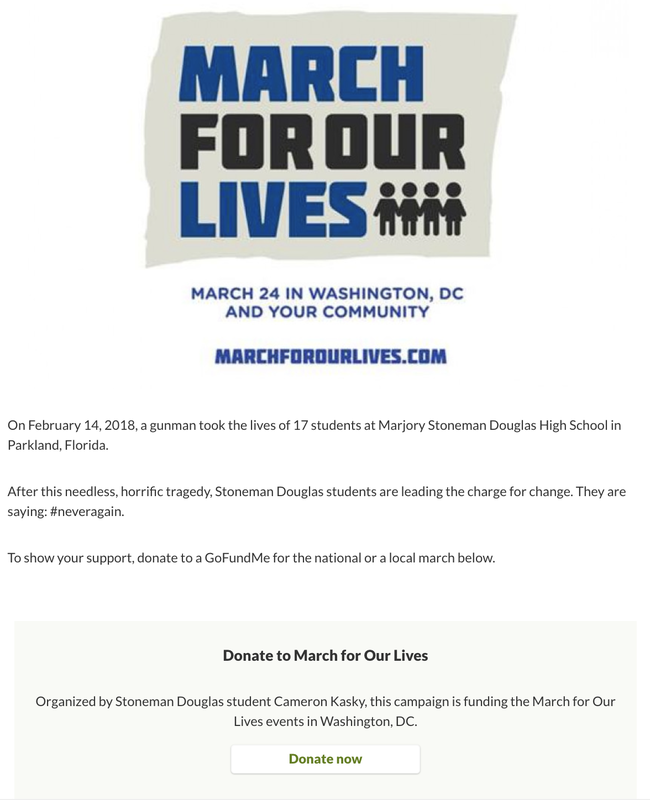 In addition to Cameron's GoFundMe, people across the country are fundraising to attend the national march or start marches in their local communities. GoFundMe has also created a centralized location for verified campaigns established for individual survivors and family members. Launched in 2010, GoFundMe is the world’s largest free social fundraising platform, with over $5 billion raised so far. With a community of more than 50 million donors, GoFundMe is changing the way the world gives. Find us on Twitter, Facebook and Instagram.